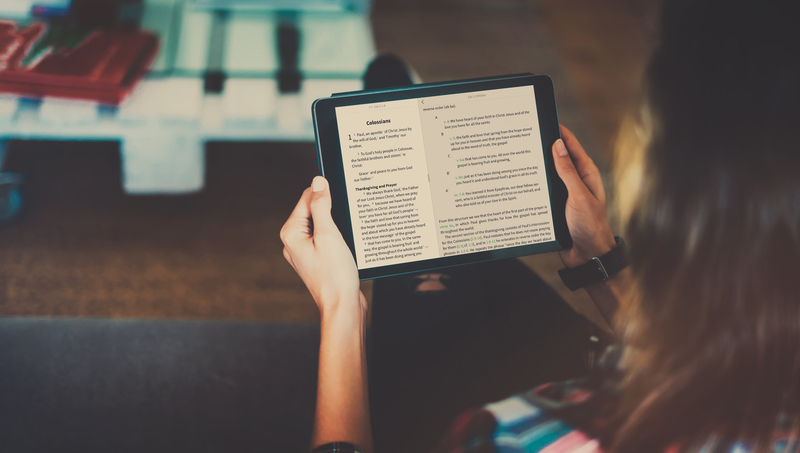 The NIV Application Commentary is a great tool for in-depth study of the Bible while ALSO helping you apply the Bible to your life. Below is an excerpt taken from the commentary on Colossians, by David E. Garland. Paul adopted the custom in ancient letter writing of offering a prayer of thanks to the gods and transformed this convention by expanding it and filling it with Christian meaning. His thanksgiving is not some perfunctory nod to various divinities for blessings received and misfortunes averted. It is a prayer to be read aloud in Christian worship and thereby becomes a witness of Christian faith and a means of Christian instruction. Paul never trots out some stock, all-purpose prayer but carefully tailors it to the situation of the church he is addressing. He sensitively weaves together the church’s progress in the faith, their needs, and his hopes for them into a beautiful tapestry of praise and thanks to God. One should not ignore the thanksgiving proems in Paul’s letters as unimportant devotional meditations unrelated to the key themes of the letter. They lay the groundwork for what follows in the letter, previewing its major themes and setting the tone of the letter. The thanksgiving section in Colossians extends from 1:3 through 1:23 and includes the Christological prose hymn in 1:15-20. The key ideas of “faith,” “hope,” and “hearing” in the opening (1:4-6) are repeated in 1:23 to form an inclusio — a rhetorical device in which the beginning of a unit is repeated in its ending. The thanksgiving divides into two parts, 1:3-8 and 1:9-23. The first part focuses on the effects of the gospel in Colosse and the whole world, the second on Paul’s intercession for the Colossians and his celebration of the salvation accomplished by Christ. In 1:3-5, Paul tells the Colossians that he always thanks God for them because of their faith in Jesus Christ and their love for all the saints. The focus on the community suddenly shifts in 1:6 to the whole world as he exults over the universal effects of the gospel. B’ v. 6b: just as it has been doing among you since the day you heard it and understood God’s grace in all its truth. A’ vv. 7-8: You learned it from Epaphras, our dear fellow servant, who is a faithful minister of Christ on our behalf, and who also told us of your love in the Spirit. From this structure we see that the heart of the first part of the prayer is verse 6a, in which Paul gives thanks for how the gospel has spread throughout the world. The second section of the thanksgiving consists of Paul’s intercession for the Colossians (1:9-14). Paul restates that he does not cease praying for them (1:9; cf. 1:3), and in 1:9-11 he reiterates in reverse order the key phrases in 1:3-6. He repeats the phrase “since the day we heard about you” (1:9; 1:6, “since the day you heard it”) and then lists how he intercedes for them. He prays that they will increase in “bearing fruit” and “growing” (1:10; cf. 1:6) and in “the knowledge of [God’s] will” (1:9; cf. 1:10, “of God”; see 1:6, of “God’s grace”). In 1:11-12 he also prays that they may be “strengthened with all power according to his glorious might” and that they may give thanks joyfully. ARE VERSES 12-14 PART OF THE PRAYER? He lists three reasons for giving thanks in 1:12-14. Some question whether 1:12-14 are part of the prayer and treat it as an introit leading in to the anthem to Christ in 1:15-20. Paul is not working from a precise outline, however, and we should regard 1:12-14 as part of his intercession. It gives the reasons for joyfully giving thanks to God and flows naturally into glorifying Christ. These verses therefore place 1:15-20 in the context of the celebration of redemption rather than abstruse, metaphysical ruminations. The prose hymn to Christ in 1:15-20, which affirms Christ’s absolute and universal supremacy, bursts forth like a supernova, whose resplendence eclipses everything around it. The verses surrounding this poetic celebration, however, also offer up praise for what God has done for us through Christ. God has made the Colossians fit for a share in an inheritance for which they did not previously qualify as Gentiles (1:12). God has rescued them from the dominion of darkness (the plight of pagans) and brought them in a new Exodus to the kingdom of God’s beloved Son (1:13). God has redeemed them and forgiven their sins (1:14) and has reconciled them through Christ to present them holy, without blemish, and free from accusation (1:22). In the final verses of the thanksgiving (1:21-23), Paul recounts how the Colossians accepted this reconciliation (1:21-22). He mentions again (1:23) the hope held out in the gospel (see 1:5), their hearing of it (1:5), and how it has been proclaimed to every creature under heaven (1:6) so that it can bear fruit and grow. He concludes the thanksgiving with mention of his own role as a servant of this gospel (1:23), a topic he will take up in the next section (1:24 – 2:5). This long, rhapsodic thanksgiving lays the foundation for the exhortation beginning in 2:6. In sum, 1:3-23 is like a mighty river meandering through stunningly beautiful terrain. To appreciate fully the theological landscape, we will need to break up the unity of this segment by discussing it in separate sections in the commentary. 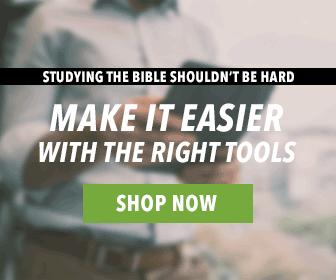 NIV APPLICATION COMMENTARY ON SALE! Interested in learning more about Colossians and Philemon? This commentary is on sale for only $7.99 right now. Or, if you’re looking for other commentaries like this one, but for the entire Bible, check out the set! It’s currently discounted 66%. In the last few days I have taken advantage of the savings on the NIV Application Commentary. As of yet I have not figured out how to open a Bible o one side of my screen and the NIV Commentary on the other side of the screen. Does this feature work with the NIV Commentary?